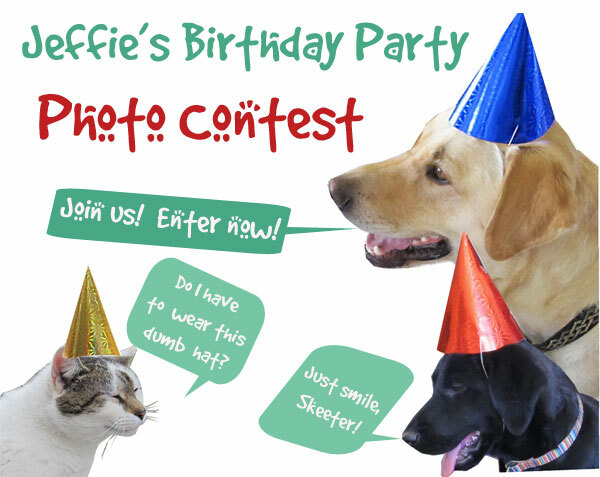 April 2013 - a month long gala celebration of Jeffie's 7th birthday! A party this big takes a lot of planning. Rosie was in charge of invitations. Rudy and Skeeter kept an eye out for guests. 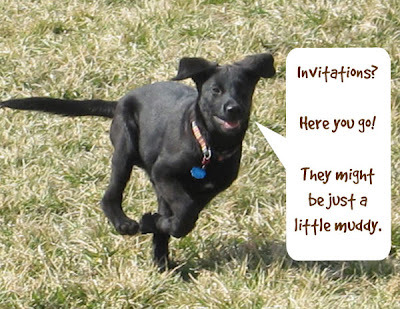 The guests began arriving and Jeffie was thrilled! 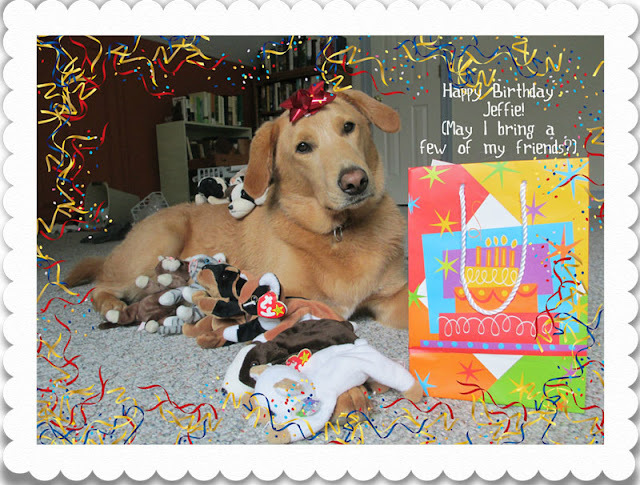 To get things started, Jeffie hosted a giveaway: Skinneeez Big Bite dog toy plus Monkey Earrings from For Love of a Dog! 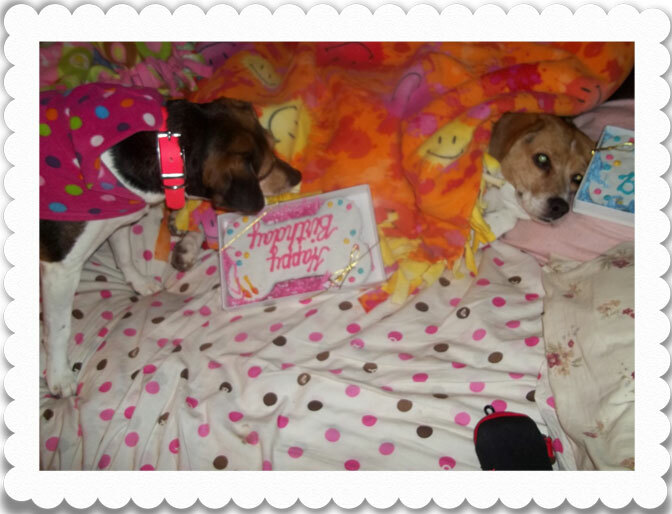 Jodi and her fur babies, Sampson and Delilah, of Heart Like a Dog, were the lucky winners. 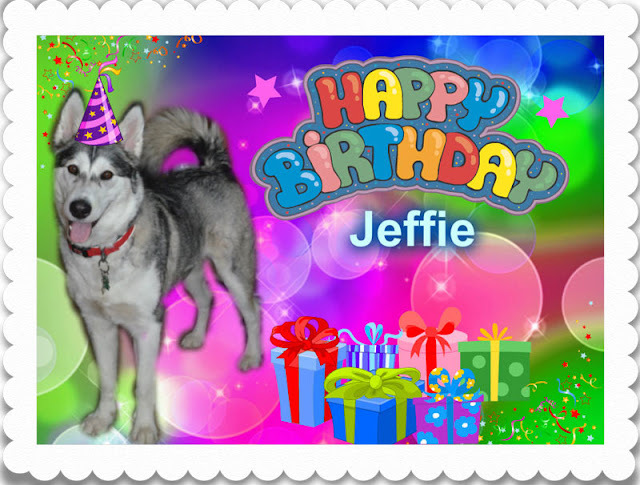 We celebrated with some Jeffie puppy pictures, a Shelter Dog Song music video and some homeless dogs from Dogwood, the same shelter where Jeffie used to live during the first week of Jeffie's party. 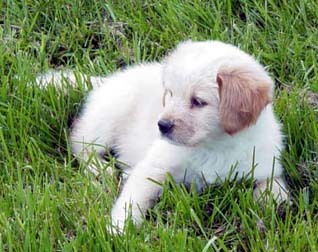 Plus, we explained why Jeffie was a Cush Dog. 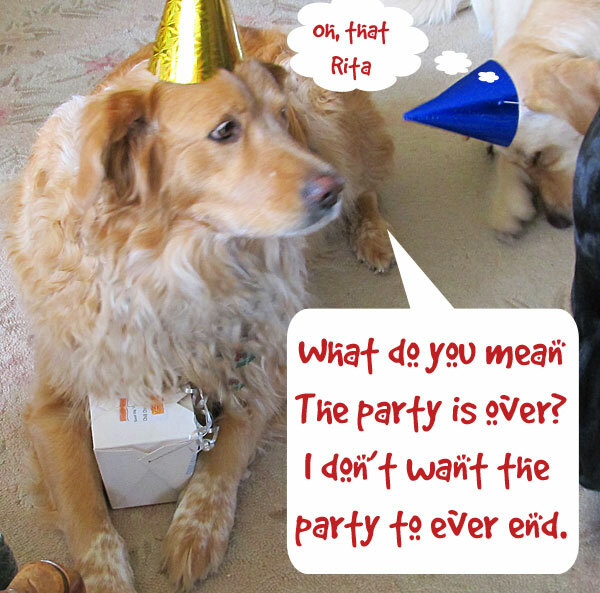 Rudy may have had a bit too much punch at the party. Jeffie swears the punch was not spiked! However, Rita was there, so... I bet it was spiked! 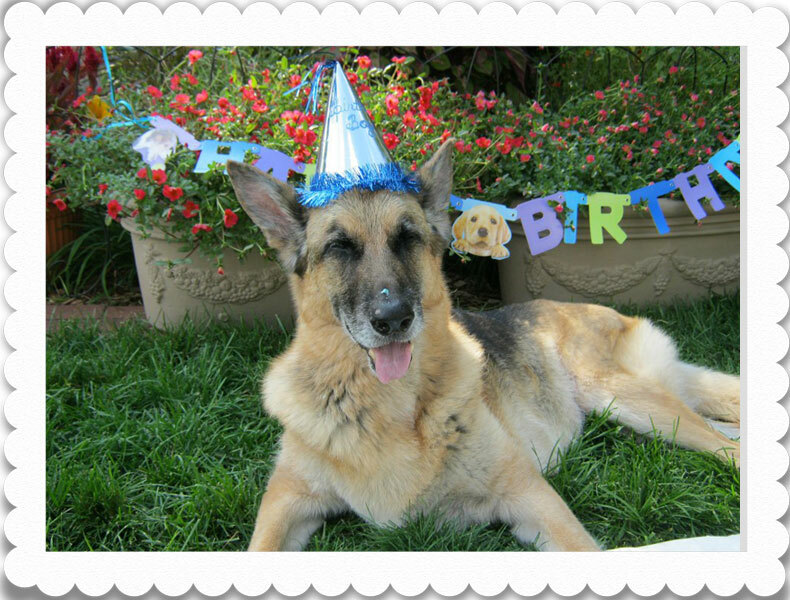 The party continued with more dog treats! 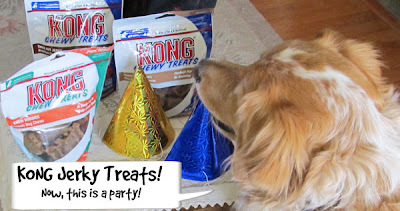 This time the giveaway for for some KONG Jerky Treats. Yum! The lucky winners were Gizmo, Penelope, and Crystal Rose. After we sang along to The Animal Rescue Song, and shared tripawd Mandela's story, the adoptable dog from Stray Rescue, we had to have another giveaway! After all, what's a party without lots of treats! 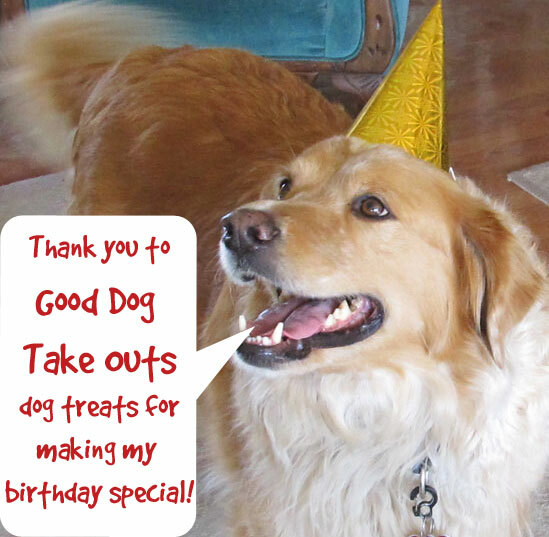 The Good Dog Take Outs giveaway was really yummy since there were 6 winners: Bren, Kate, Dogmama, Shelbie, Jackie and Sharon. 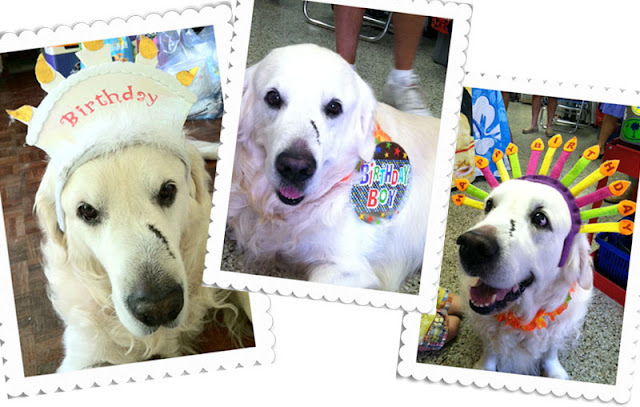 The lucky dogs: Bella, Skipper, Schooner, Rita, HufflePup, Titan! And ready for another giveaway! This time it was a Dog Mom bracelet from For Love of a Dog! Rafflecopter chose the winner at random and Theresa S won. Congratulations, Theresa! Next up was a party game! The answers to the All About Jeffie Quiz were hilarious! 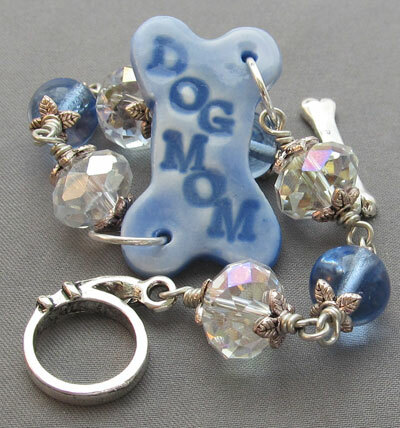 The winner of the random drawing won some For Love of a Dog earrings! Congratulations go to Ann at Pawsitively Pets! 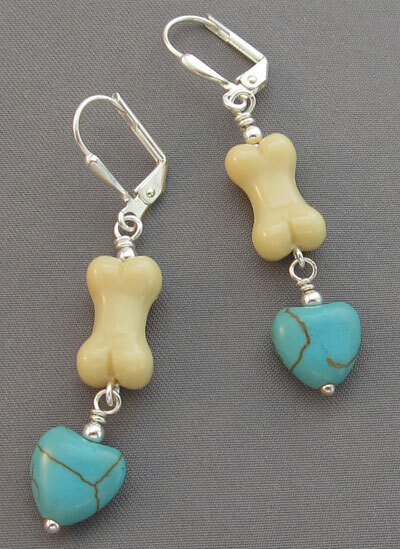 Since Chris at Saved By Dogs had the most answers correct, Jeffie insisted that she receive some dog lover earrings, too! You should have entered Jeffie's Birthday Party Photo Contest! As you can see below, it was a lot of fun. 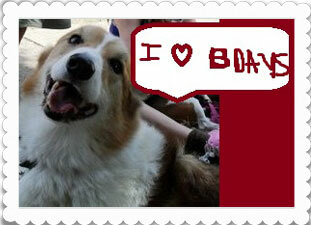 The winner of the random drawing for a $25 Amazon.com gift card was Jodi at Heart Like a Dog. However, Jodi declined the prize, noting that she'd already won the monkey giveaway and wanted to pay it forward. 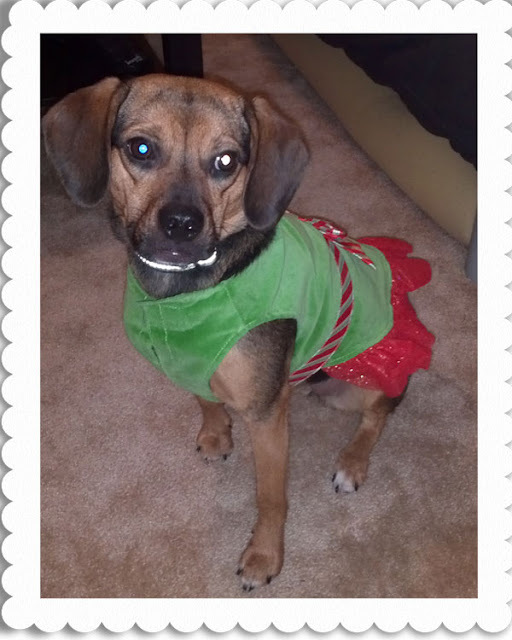 So, thanks to Jodi's generosity, congratulations go to Christine and Granite! 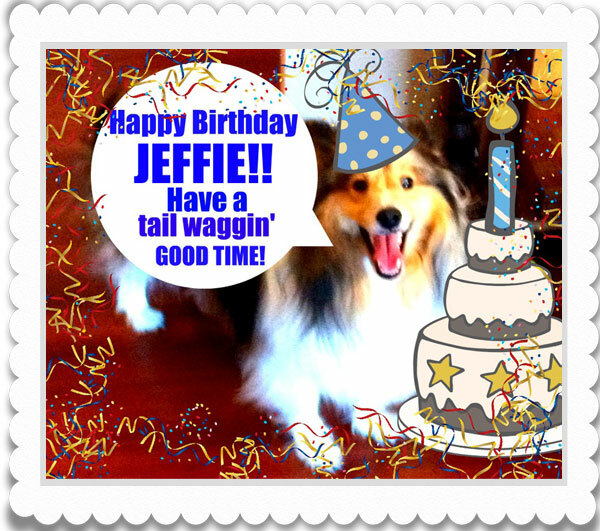 Look who's at Jeffie's party! Gracie and Cider came to the party from Kelly's Pet Salon in Michigan. 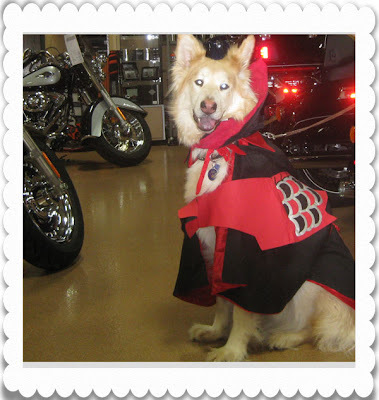 Artie dressed as a Ninja for a Pet Days party at the Harley dealer and thought: why waste this dog-gone good costume. 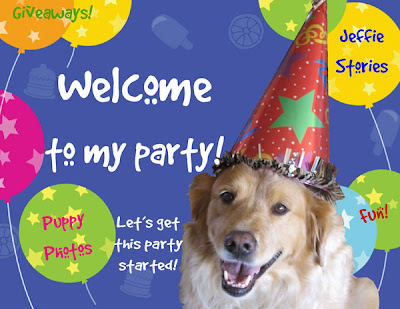 Perfect for Jeffie's party! 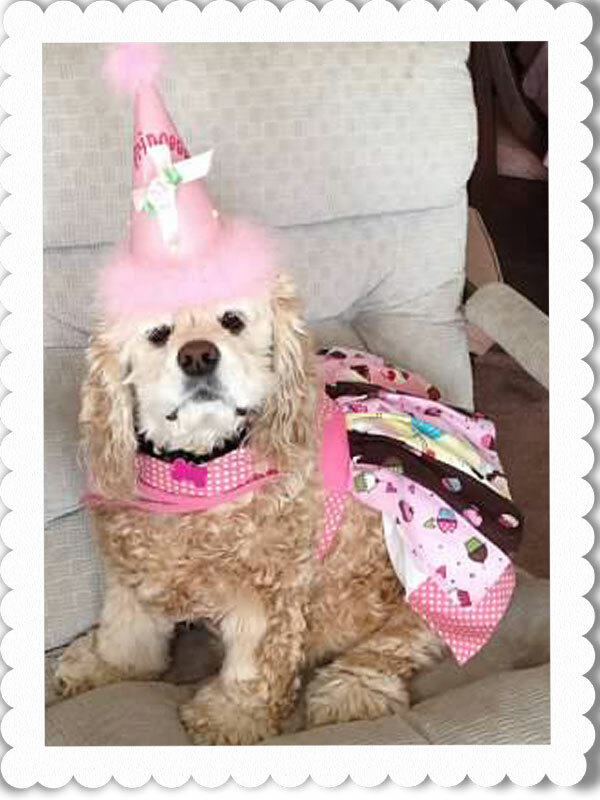 Coco is ready to celebrate! Coco Chanel Bella is a 7 year old American Cocker Spaniel who lives with Christine. 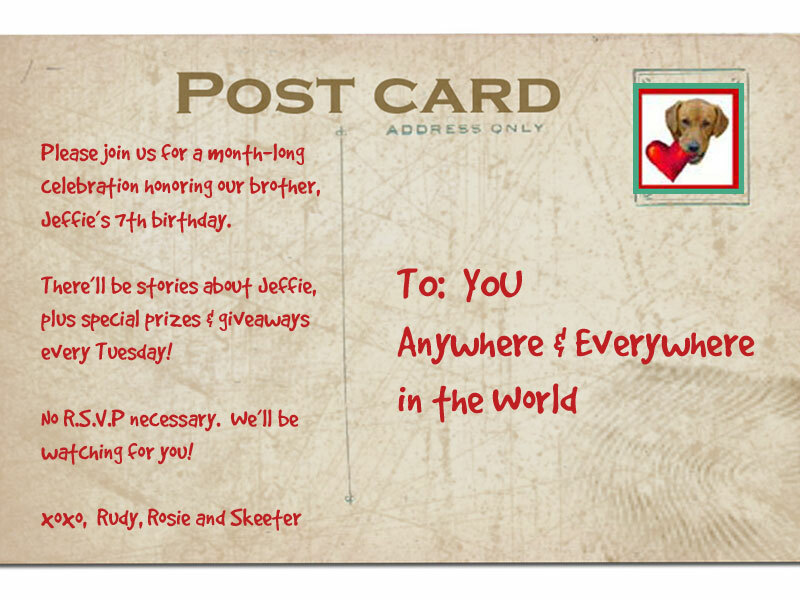 Jeffie and Rudy are smitten! Rosie covets that party outfit! Gambler is ready to par-tay! He lives with JoAnn at Sand Spring Chesapeakes in Wisconsin. 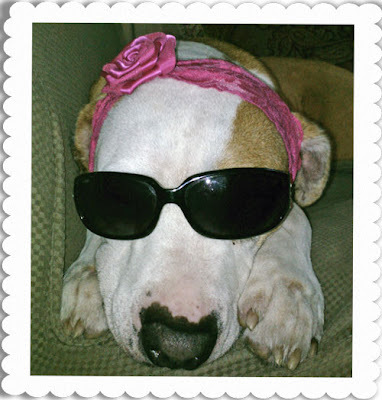 Rudy thinks Rosie should try wearing her hat this way! 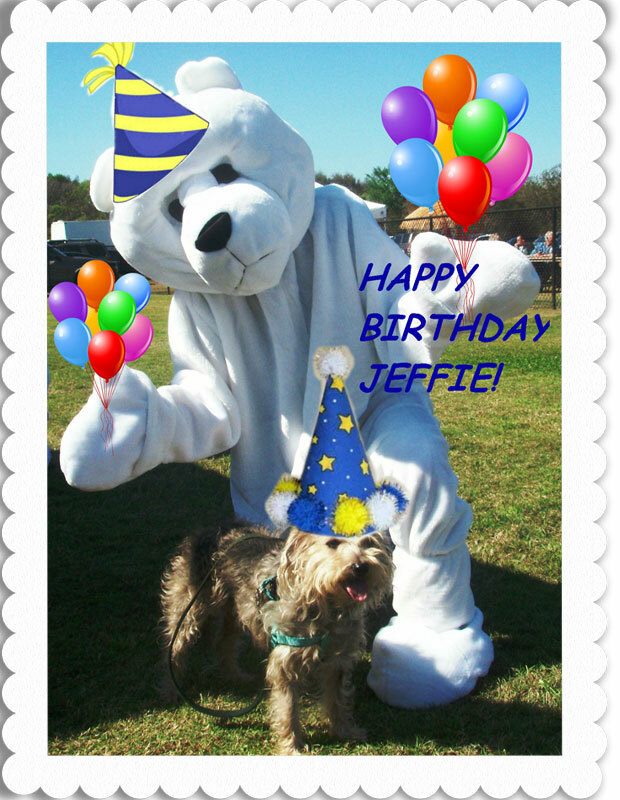 Snoopy thought if he got enough birthday balloons, he could hitch a ride to Jeffie's party! Jeffie's so glad he came! Snoopy barks at Snoopy's Dog Blog. Shiner (above) and Nibblet (below) are pretty in party pink! They blog at Pawsitively Pets. 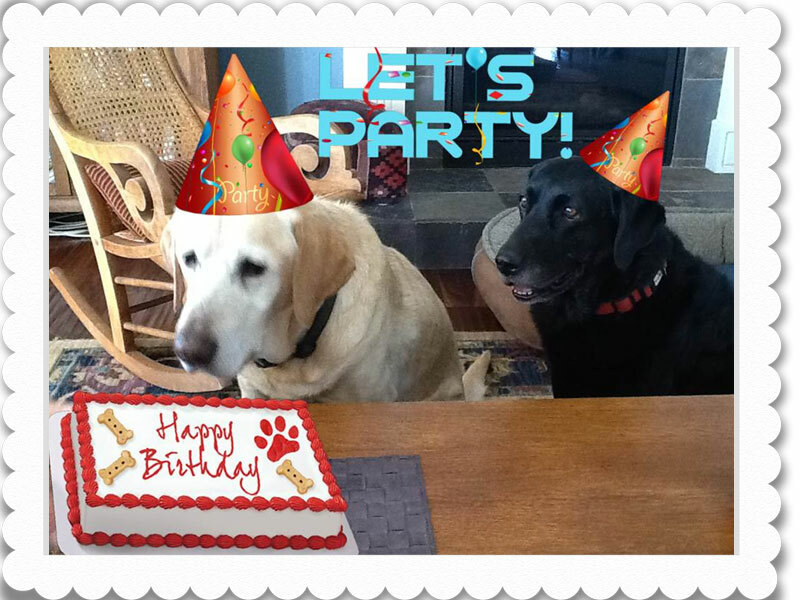 Roxy and Molly are ready to party! According to Kelly, Artie has agreed to bring the Frosty Paws to the party! 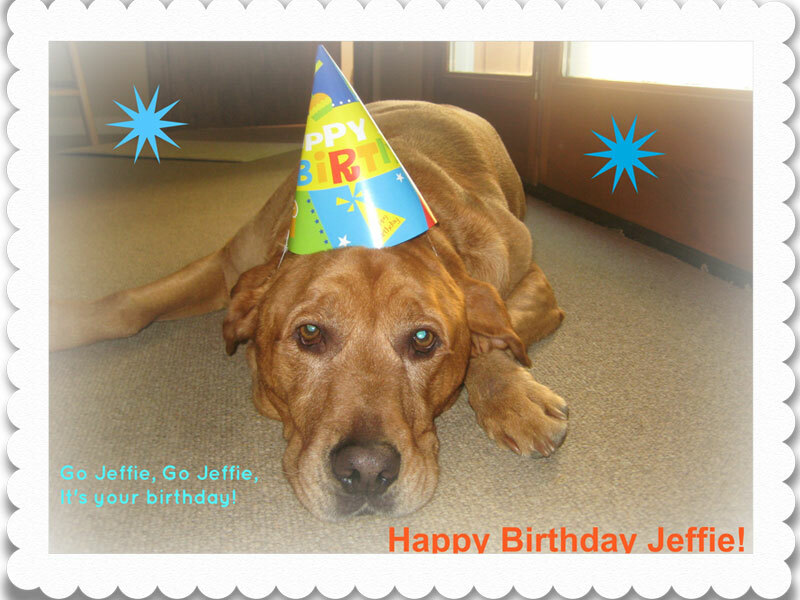 Look at this great birthday greeting Jeffie received from Dakota! Dakota barks at Dakota's Den. 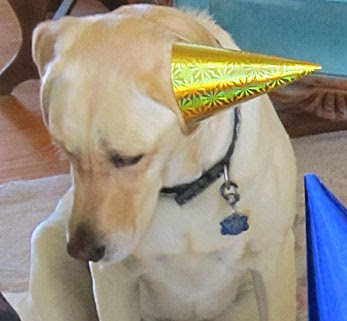 Jeffie was thrilled that Cody came to the party. 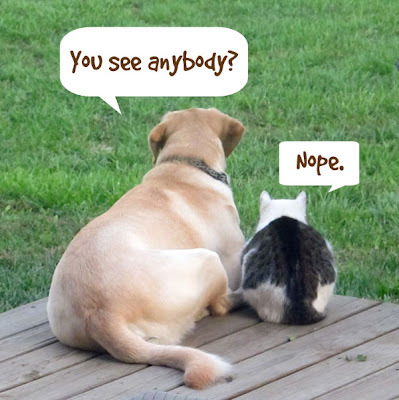 Skeeter was so glad a cat finally showed up! Cody meows at Cat Chat with Caren and Cody. 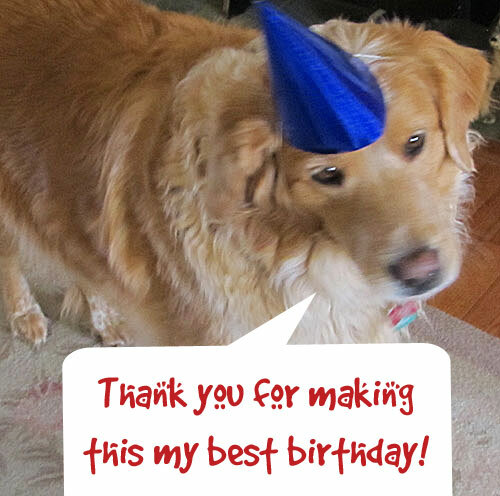 What would a birthday party be without Golden birthday wishes? Sweet Sugar brought some for the birthday boy. 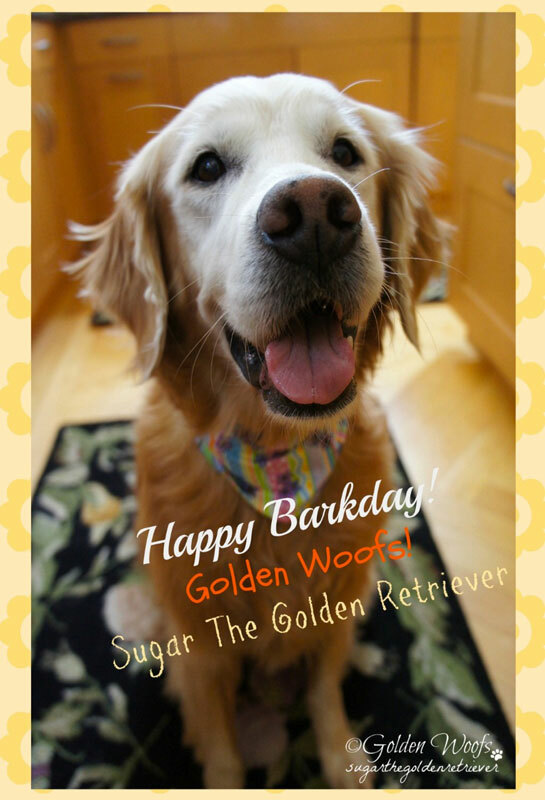 Sugar woofs at Sugar the Golden Retriever. 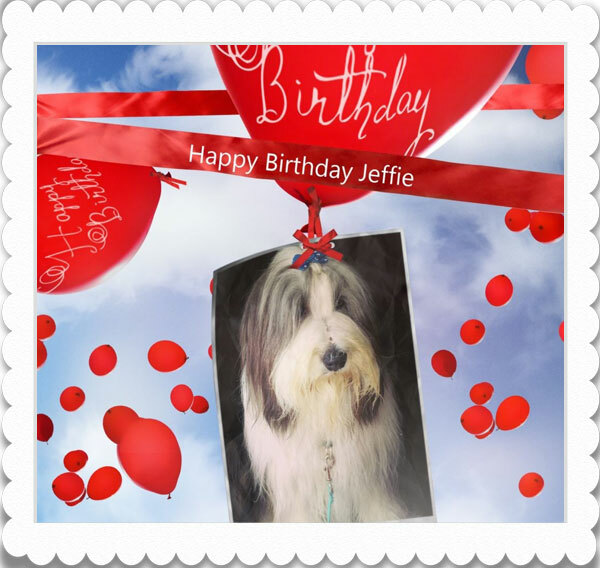 Jeffie loved Gizmo Geodog from Terrier Torrent's birthday greeting! Rosie is hoping Gizmo will do some tandem zoomies with her while he's here! 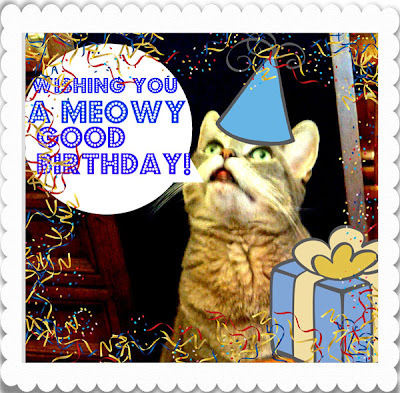 Misaki from the Misadventures of Misaki, is just gorgeous in this pawesome birthday card! Looks like Rita from Pooch Smooches is having a really good time at the party! 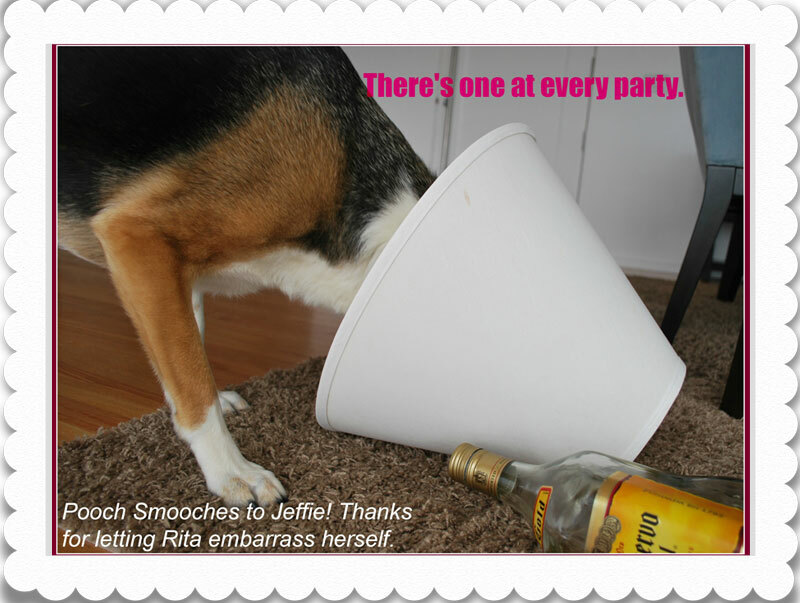 Jeffie is a little intimidated, but our punch drinker, Rudy is thrilled Rita is here! 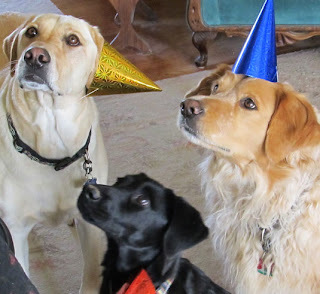 Toby brought along some other party animals (who shall be nameless)! Jack & Maggie, the dogs at SlimDoggy, just arrived and they brought cake! 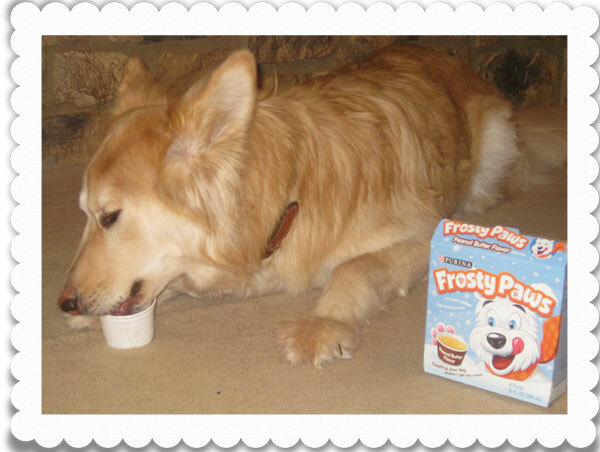 Hurry and get some before Jack eats the whole thing! 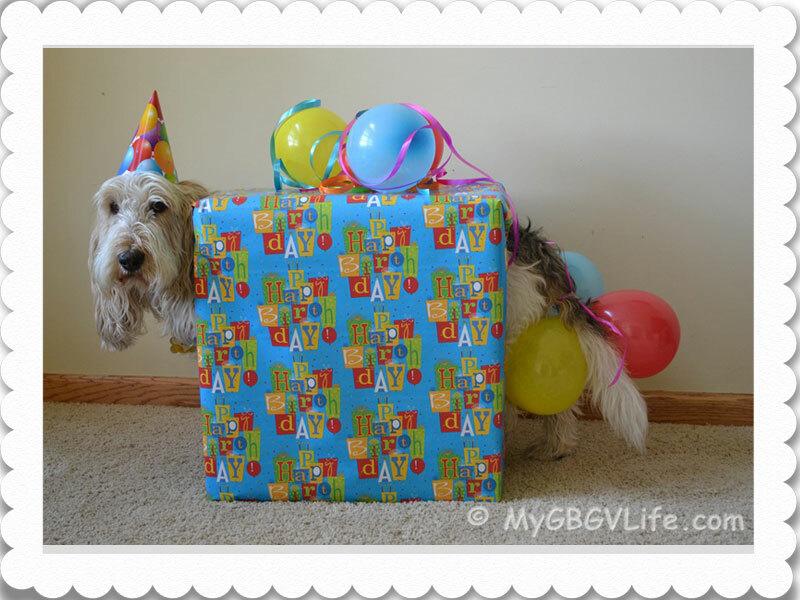 Emma, the GBGV, asks: Did you order a present? 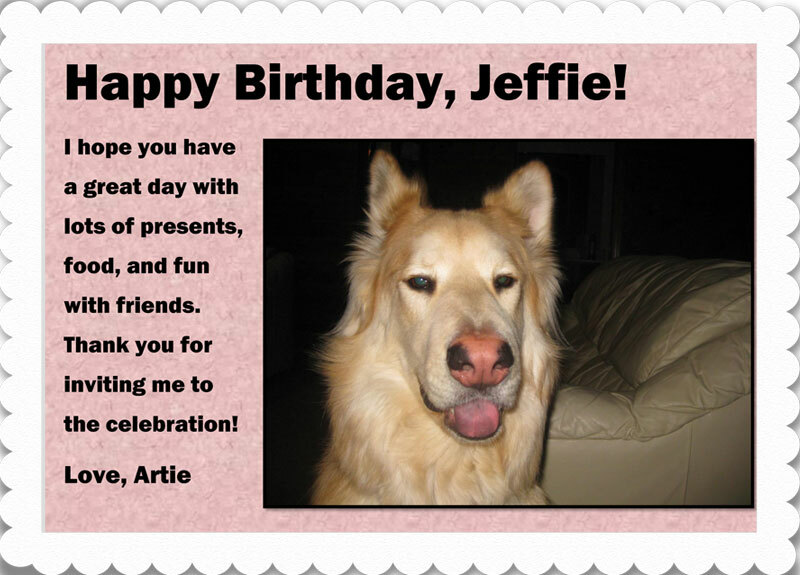 with these pawesome birthday greeting for Jeffie! 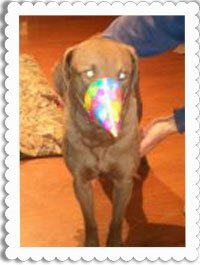 Granite has his party hat on and already has a little frosting on his nose! 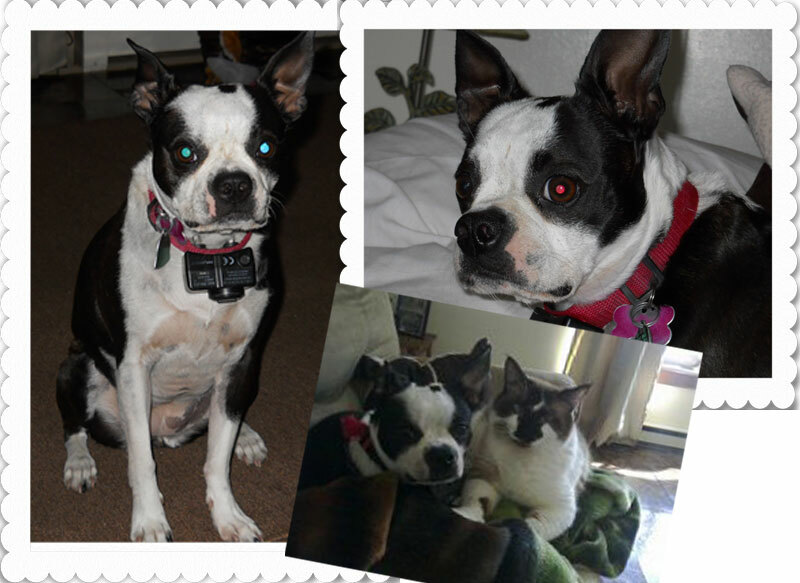 Lila, the Boston Terrier, and her kitty sister, PJ, showed up ready to party! Artie brought along this birthday card for Jeffie. 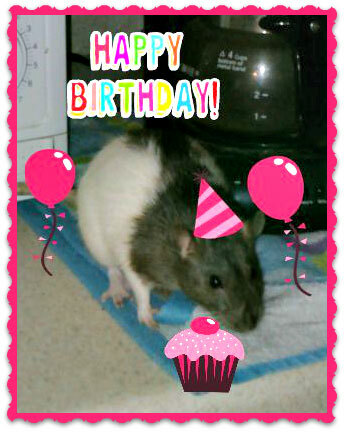 Artie celebrated his own very first Gotcha Day on April 28! Is it just us, or does Wheatie look like he could be Jeffie's cousin?! Here's Jake Castelli with his party hat on, wishing Jeffie a happy birthday! 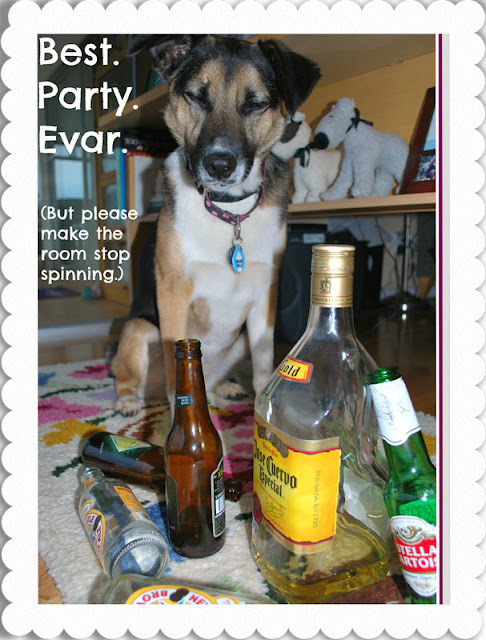 The party wasn't quite over. 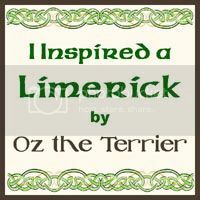 On April 30, we announced the giveaway winners and shared a very special surprise from the great and powerful poet, Oz the Terrier! 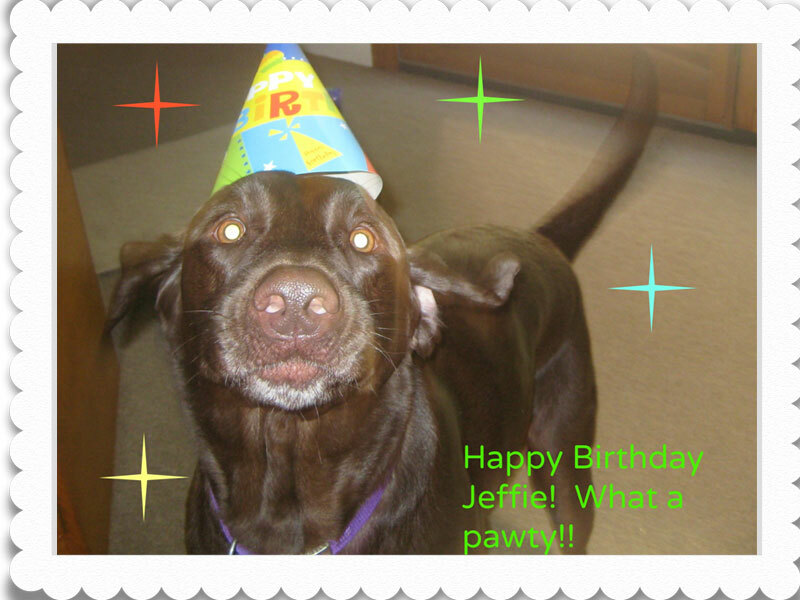 Happy Birthday to Jeffie the Retriever mix! He turned seven this month, not six. as he knows an old dog can still learn new tricks. Fun pictures of the party! !